Le bourgeois gentilhomme -Com�die-ballet faite � Chambord, pour le divertissement du roi au mois d'octobre 1670. 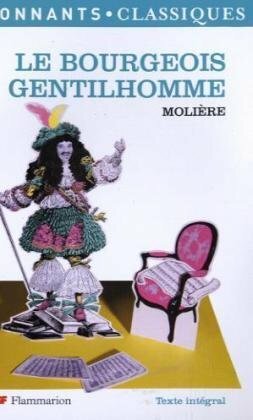 Le Bourgeois gentilhomme was written by Moliere. Le Bourgeois gentilhomme was published by Flammarion. About Moliere (Author) : Moliere is a published author of children's books and young adult books. Some of the published credits of Moliere include Le Bourgeois Gentilhomme.